Procrastination, or delaying an activity that is intended to be completed, has existed since the beginning of man. Early humans would avoid completing tasks that they knew were important to their own preservation. The primary driver of procrastination, and many of our decisions in life, is fear. The worry that an action will lead to an adverse reaction reduces our motivation and causes us to ignore what often shouldn’t be ignored. What is feared goes to all ends of the spectrum: fear of physical injury, hurt feelings, loss of love or friendship, loss of hobby, job or other productive activity, lost money, and even a fear of success because of feelings of inadequacy. You are reading this article on a dental practice website so you can imagine where this is headed. People avoid the dentist for a number of reasons, the primary ones being a fear of injury and cost. We have to mention the fear of being told they haven’t been brushing or flossing correctly or that they have serious dental problems, also. Let’s address the first one: injury. People are worried that the dentist is going to hurt when they are cleaned, drilled, or otherwise. True, sometimes there is pain involved with maintaining healthy teeth and gums. It is also true that there are ways to limit or prevent your noticing this pain depending on your pain tolerance. Local anesthesia: This is a common form of injecting medication into the gums to numb the area so there is no pain information being sent to the brain. There are even creams that can be rubbed on to the gums to limit your feeling the needle (it’s a great word we live in). General anesthesia: This is where you swallow a pill about an hour before the procedure. The pill will numb many pain receptors around the body to prevent your brain from receiving pain signals. This is a common alternative to the injected version. Sedation dentistry: During this procedure you are given general anesthesia and placed in an induced sleep. You will not notice, feel, or remember the procedure. For those with high pain sensitivity or a significant fear of dental treatments, this can be a direction for you. Now, let’s talk about cost. Like many decisions in life, there is a cost to dental treatments. This is because of the many costs involved with running a dental practice and adhering to high standards that go above the minimums set by medical authorities. There is the cost of starting or buying a practice (like a mortgage on buying a Beverly Hills house in cost), office lease, utilities, many licenses, huge insurance policies, adequate staffing in all areas, expensive equipment and maintenance, special software, constantly replenishing supplies with new and sanitary ones, numerous other little costs, and the cost of special materials and service that are needed to be ordered outside of the practice from special companies. The cost of treatment is directly related to the amount of Practice resources and material costs used before, during, and after the treatment. Why is it important to spend money on teeth? There’s the obvious first question of: Do you want a nice smile? Beyond that, there are real health implications from ignoring dental health. If you have ever had a toothache (or seen a baby teething) you know how much influence our teeth and gums have over our health and wellness. The mouth is a very sensitive area of our body that is interconnected with the body’s pain and sensation system (aka central nervous system). By keeping it in the best shape possible we steer clear of pain and disease that comes from poor oral hygiene and avoiding professional dental care. Next, there’s our ability to pleasantly enjoy food and drink. For those with a health mouth there shouldn’t be problems with enjoying eating to its fullest. For others, whether it be poor care, inadequate nutrition, or genetics, eating and drinking can be uncomfortable. It doesn’t have to be so and there are many options to avoid being uncomfortable. 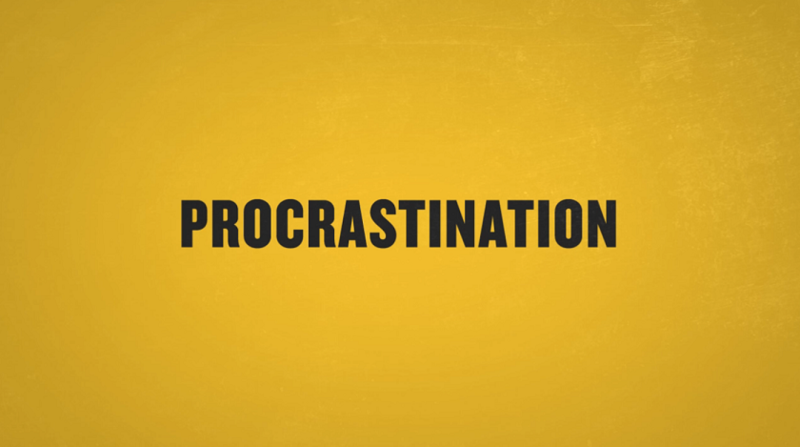 Let’s get back to the initial point of this article: procrastination. Let’s be smart and not avoid the dentist as well as asking questions to our dentist about our gums and teeth, and their health and appearance. Your overall health includes your mouth. It’s one aspect of your health that everyone can see.